Having more time on the trains between cities, we’ve blogged about our time in Philadelphia and New York. We are playing catch up on the rest of the cities we visited. To start off the tour de east coast we landed at Reagan National. Nice, easy spot to fly into. Our good friends Alex and Dustin hosted us for our time there and we were lucky to have Dustin have a day off to spend time with us. The first thing Alex and Dustin asked was “Do you like burgers?” to which we answered (and will always answer) “YES!” They took us to Good Stuff Eatery in Arlington. We each got a burger and split fries. Good burgers for a medium price. Our favorite was the sauces that you can get to dip the fries in. After burgers we went back to their apartment and were able to taste some Oregon vodka, gin and whisky that Dustin’s family makes and sells. Great stuff! 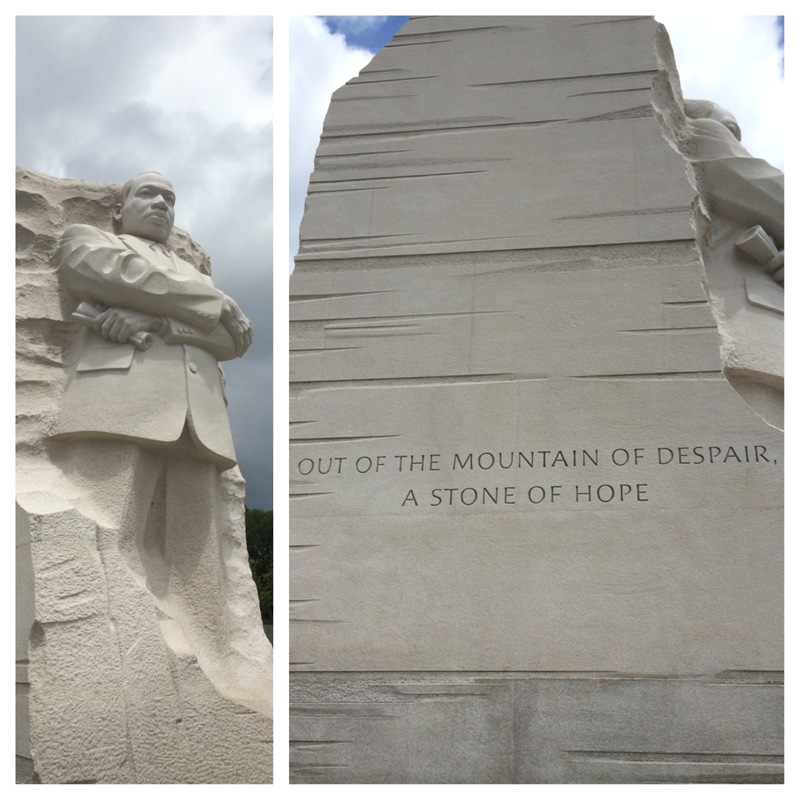 Saturday was tour DC day with Alex and Dustin. Anytime you try to fit this in in one day you won’t get to see it all, but we were able to get the highlights and must do/see. Founding Farmers for brunch in the GW Univ. 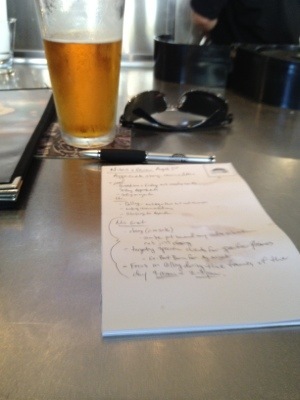 area was a great way to start our day out…slow service but great food. – White House – wouldn’t truly be complete without active protests happening. Israel and Gaza supporters were both passionate about communicating to the President. Or at least the security guards and tourists. There was even a young girl in her twenties standing along the fence reading a book out loud about Israel. – Washington Monument – tall and visible from most other places in DC. There is a patch of grass between the White House and Washington Monument that could use some love and creativity for land use. – Lincoln Memorial and the Reflecting Pool – Reflecting pool sits between the Washington and Lincoln and is lovely in pictures unless you are walking right by it. Lincoln sits large and proud in his seat. The beard plays. 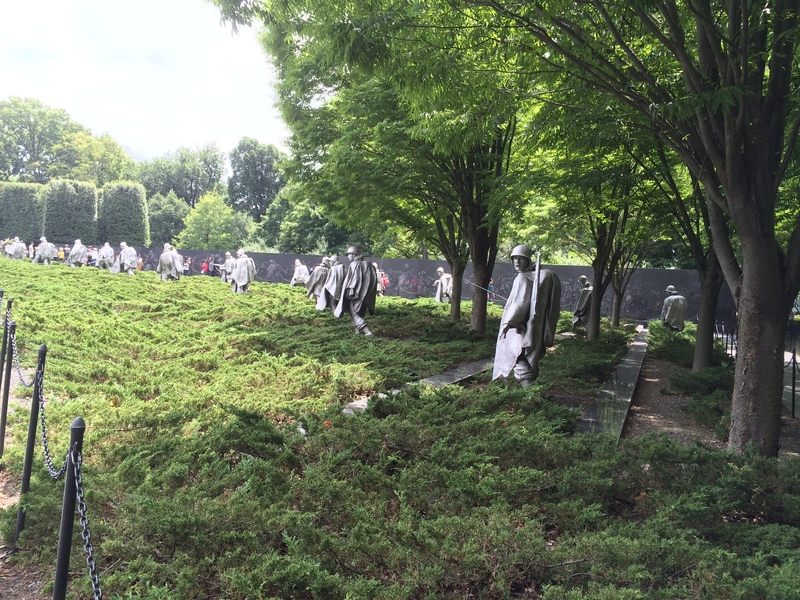 – Korean Memorial – I love to look at each soldier, as if they are part of a movie and you’re seeing them move right in front of you. Strong statement and both of us have seen this in rain/fog before, which is the best and most eery way to see it. – Jefferson Memorial – Full figure memorial with a “power stance” and full robe/jacket. Did they call them robes back then or am I just thinking of Harry Potter? Forgive my ignorance. Although I am now having a good picture of our early presidents partaking in the Harry Potter saga. Let’s see if Ben edits this out! Jefferson quotes chosen were wordy but in his time were the right things to help shape our nation. Bummed to not have time to show Ben Monticello, but alas, we move on. – Natural History Museum – Way too crowded in here to take full advantage but very cool exhibits on genetics, full skeleton exhibits of hundreds of mammals, and of course the Hope Diamond. 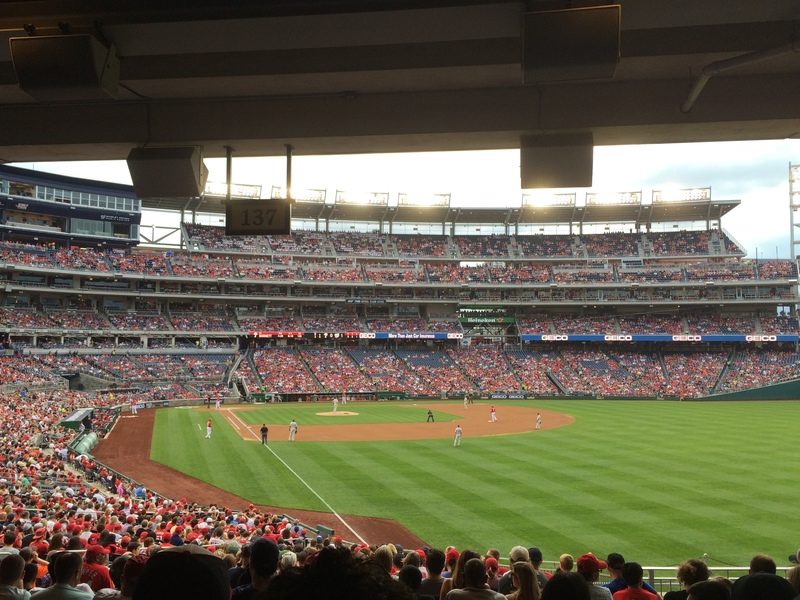 That evening we were able to cross another ballpark off the list by attending the Washington Nationals vs. Philadelphia Phillies game. The stadium is great and not too far of a train ride located at the Washington Navy Yard. We were able to get some Tacos and put away a few beers at Agua 301 before heading into the game. Beautiful night and cool stadium. They clearly market to the younger crowd by offering a $5 beer before the start of the game. Nationals shut out the Phillies 11-0. Next day we were off the Baltimore on the train (thanks Alex for taking us all the way there). Arrived at Baltimore Penn Station and then took the light rail to downtown. Our hotel room wasn’t ready so we checked our bags and walked to Camden Yards. What a great place. Picturesque setup with so many things to see and take your attention away from the game. Our seats were in right field foul ball territory but we were in the covered area. We were able to have Casey and Wes (friends that we met in Fresno and have recently moved to the east coast off of Chesapeake Bay) drive up and meet us at the game. It was both Wes and I’s first Orioles versus Seattle Mariners game. It was an exciting game to start with a solo home run in the 1st inning but pretty slow after that. Even better to allow us to catch up with Casey and Wes, people watch and take in the atmosphere. Orioles won 1-0. The “Electric Slugger” — You play it like a violin and it sounds like an electric guitar and is made out of a Louisville Slugger! Post game we went to a local brewery and had some good beers! Also got to witness BronyCon 2014 in person. If you don’t know what that is, google it. It’s as weird as it sounds. After dinner Casey and Wes went home (thanks again for coming to see us!! ), Ben and I walked to the Inner Harbor. Loved being able to see this. It’s post card beautiful and has so much character. Definitely has some touristy spots there but a different vibe there then where our hotel was. We got back to the hotel just in time before a torrential downpour. Great views of the storm from our room and a good time to make sure we didn’t miss our Sunday night TV show ritual (thanks HBO GO and surprisingly strong WiFi). Will definitely visit both cities again to see more, eat more and drink more. Leave a comment Posted in Life, sports Tagged adventure, baltimore, washington d.c.
How did I get so lucky?!?! I read a post from a friend recently that talked about how moving away from family and friends is very hard but is one of the best ways to start a marriage. I think about that nearly everyday. And then I think about how lucky I am that Mr. Ben Lucas, this handsome, funny, smart, friendly, thoughtful guy, wanted to make me his wife and best friend for life. 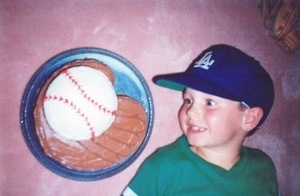 And then I get even more excited when I find gems like this picture (Ben with baseball cake) because I know he is going to be a great dad. And if our kids are passionate about anything as much as Ben is about sports, I’ll be happy. 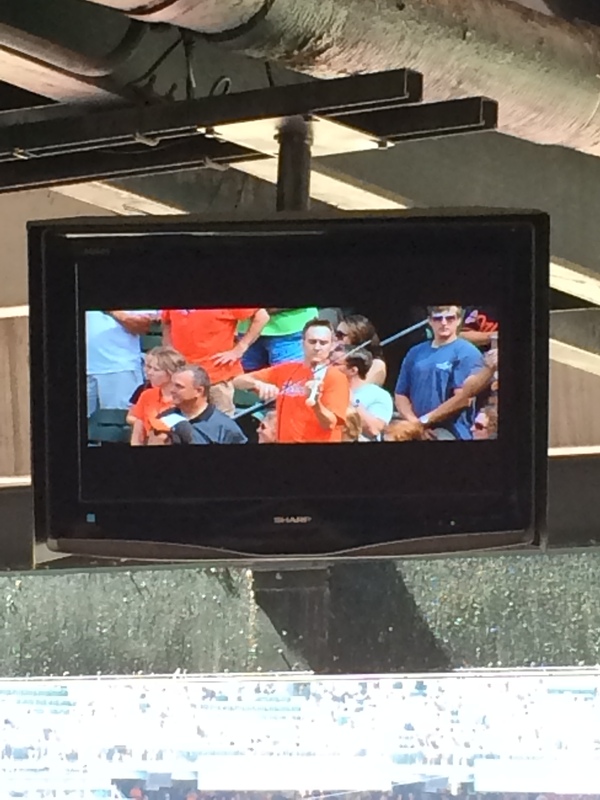 I’ve grown up an Orioles fan on the hush…Idolizing Cal Ripken, Eddie Murray (and Brady Anderson…yikes) as a kid…watching Nolan Ryan pitch at Camden Yards…and hearing my mom and grandma talk about going to O’s games with my grandpa at Memorial Field. They have the coolest logo in sports and play in the original, and best new/old school ballpark. Ever since that damn Jeffrey Maier though, things haven‘t really been the same. There have been a few seasons of promise and a few players that showed flashes but nothing has sustained and all promise has always fizzled. The O’s always seem to revert right back to the bottom of the AL East right around the time that America switches focus to Football. Today, however, the O’s are staring down the barrel of first place for the first time since 1997. 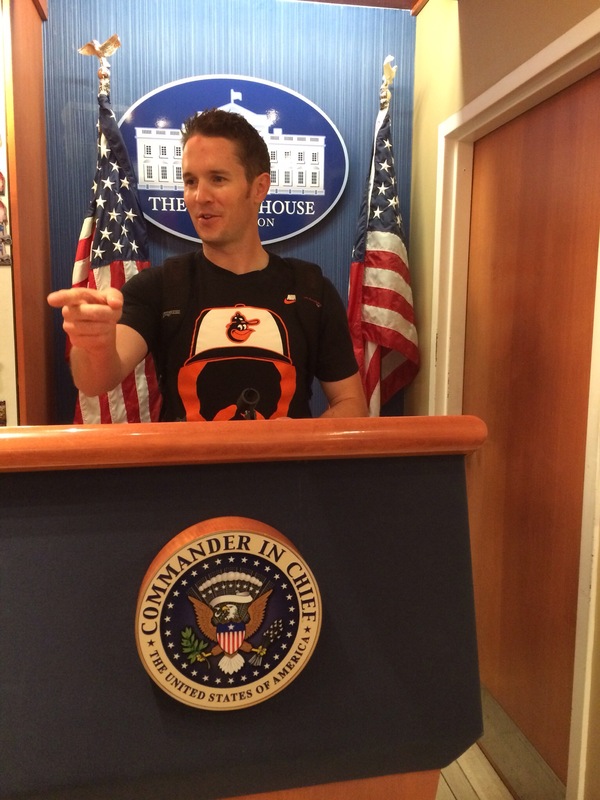 You can’t overlook Adam Jones, Matt Wieters and Manny Machado but they are also doing it on the heels of Nick Markakis hitting everything in sight since the All-Star break (and leading off…finally). They are doing it with the help of two of the most spectacularly gifted swing-and-missers in the entire MLB in Chris Davis and Mark Reynolds (combined for 263 K’s in 776 AB’s…and 40 HR’s). They are also doing it with a bunch of classic journeymen and also-rans that seem to fit Buck Showalter’s system in Nate McClouth, Omar Quintanilla, Robert Andino and a 83 year old Wilson Betemit. One of the most shocking numbers is that none of these pitchers are dominant strikeout machines…O’Day at 8.89 K/9 is the leader…it shows how important strikes are. This bullpen effeciency has allowed Baltimore to sport the best record in baseball in 1-run games, 24-7…and the best record, by far, in extra innings at 12-2. Living a fine line like the O’s are is fun and all 12,000 fans per game are getting excited but like the Rockies before them…this sort of success may not sustain itself over the long run. Enjoy it for now because teams like this come along only so often. They play for each other, the play for the name on the front and they play for the love of the best game in the world. 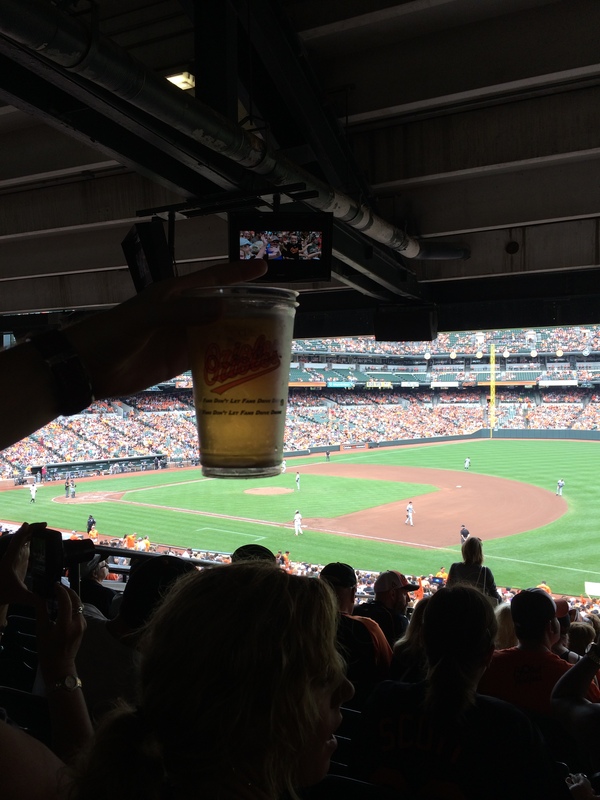 This Baltimore team shows why there is magic in baseball…even if nobody is watching.